A new project to help safeguard trees in England’s historic parks and gardens is being launched by the University of Southampton in partnership with Historic England. The study will examine the vulnerability of some of our most treasured green spaces to the spread of invasive pests and disease from surrounding landscapes. It aims to identify the range of tree species found in each registered park and garden in the country and assess the level of threat they are under. 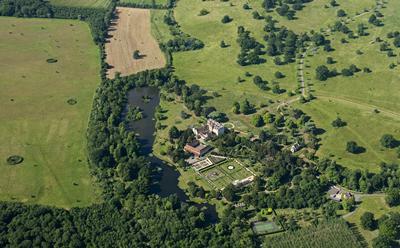 There are over 1,650 registered parks and gardens in England. Established in the 1980s, the register is held by Historic England and celebrates noteworthy designed landscapes. The National Heritage List for England can be freely searched online and includes all registered landscapes as well as listed buildings, scheduled monuments, protected wrecks and battlefields. The majority of protected parks and gardens started life as the grounds of private houses, but public parks, cemeteries and even some hospital gardens are included. Many of these green spaces are the property of major landowners or charities, but others are in private ownership. The project team is contacting as many owners as possible to encourage them to share their data, with the aim of constructing a ‘treescape’ map – visualising and quantifying information about the risks to tree collections and important tree features, such as clumps, historic avenues and veteran trees, some dating back hundreds of years. Risks to trees will vary greatly, depending on the species, location and prevalence of disease and types of pest in the surrounding area. The research team will be circulating questionnaires to as many landowners as possible, but would also like to hear from anyone managing a registered park or garden, if they haven’t already been contacted, by emailing trees@geodata.soton.ac.uk. 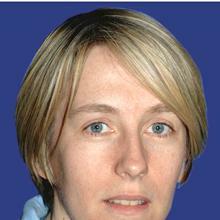 Dr Julia Branson is Principal Enterprise Fellow, GeoData within Geography and Environmental Science at the University of Southampton.